I also accept PayPal. My Paypal address is, vintage@citylites.com Vintage men's items offered to include vintage men's clothing to hats and vintage bow ties and other vintage men's accessories. 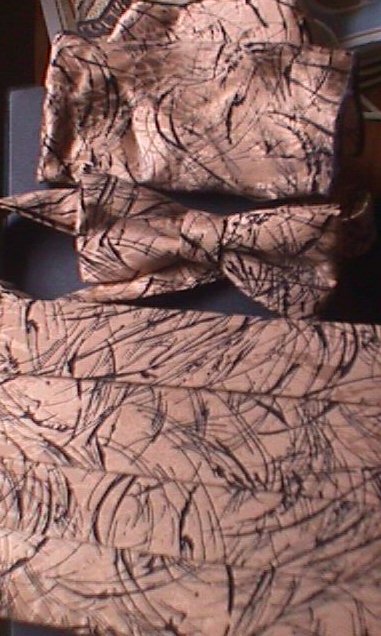 Loris Azzaro pour homme black splash on gold silk cummerbund, bow tie and breast pocket scarf for tuxedo. Excellent condition.